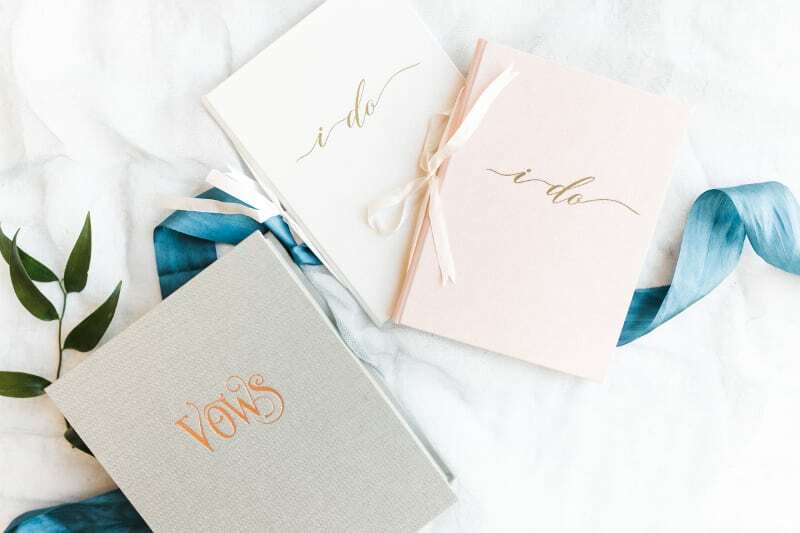 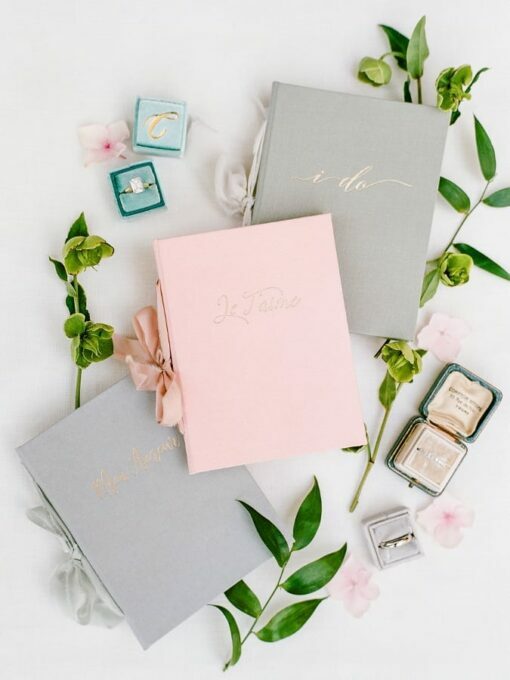 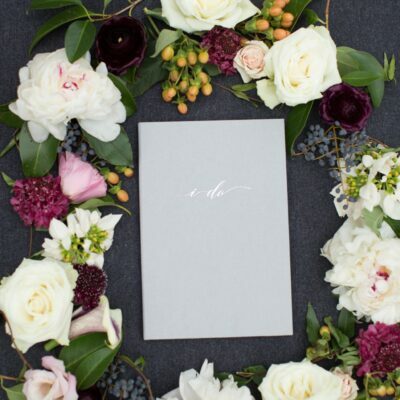 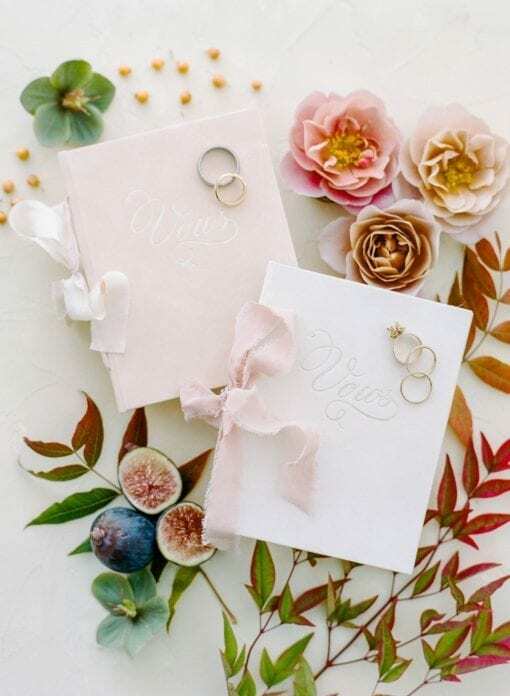 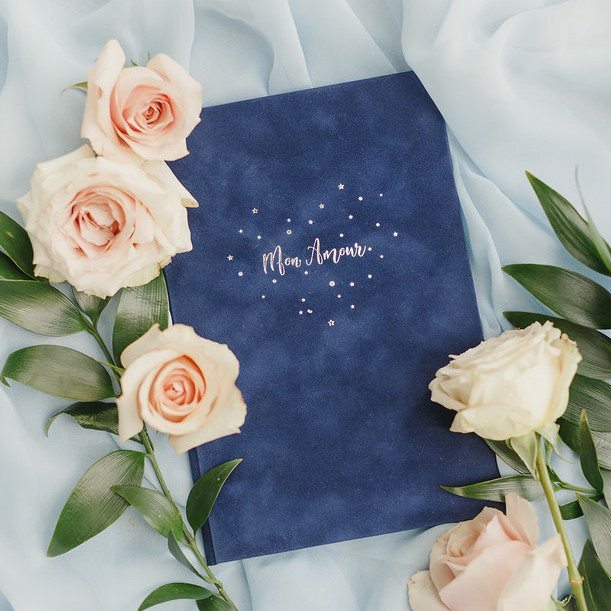 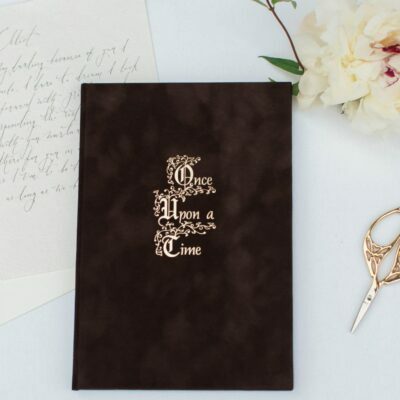 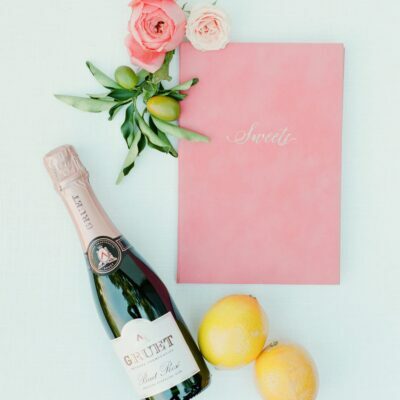 Created for the couple who want to write their own vows, these booklets are hand-made by our team in the colors, fabrics, and designs you choose from our drop-down menu. As always, our books are available to be custom embossed, but we do offer a selection of beautiful pre-designed choices from our Signature Collection. 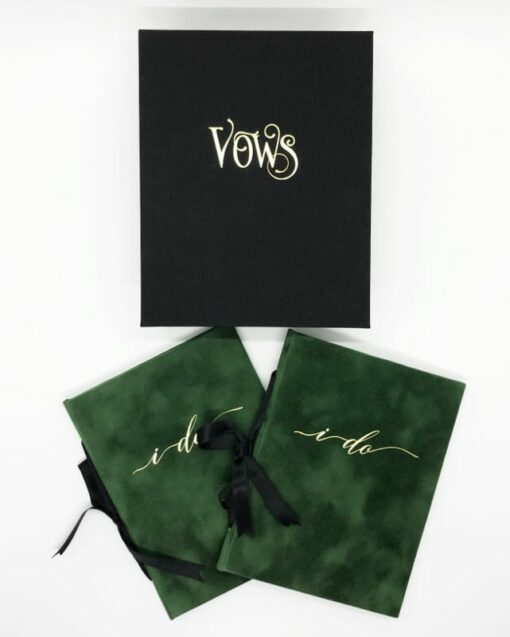 Six pages of pre-cut Italian paper, ready for you to write in your vows, The paper is removable to enable you to pass down your book to future generations. 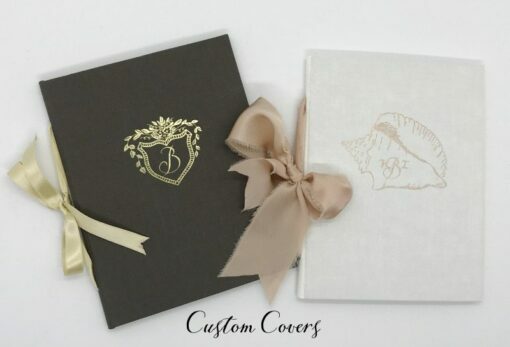 **Custom covers are available as an additional option. 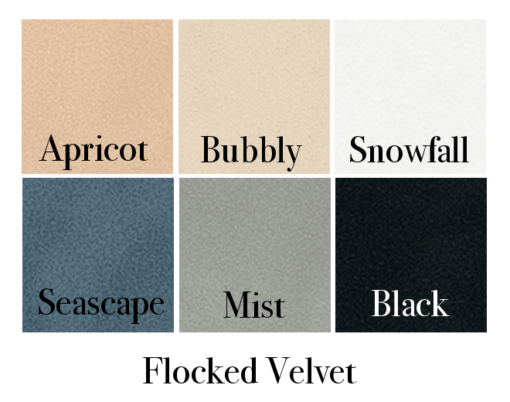 All in-stock colors are available. Please note that photos of colors show greatly enlarged texture to provide an in-depth look at each fabric. 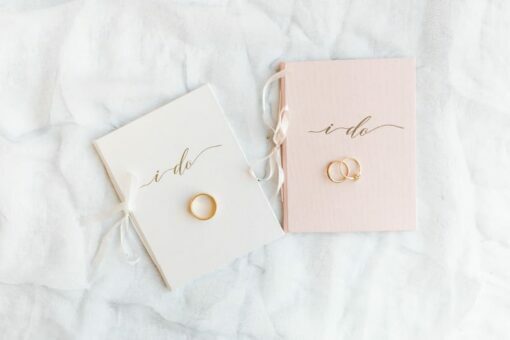 True colors are hard to capture, and each monitor/phone screen is different from reality. 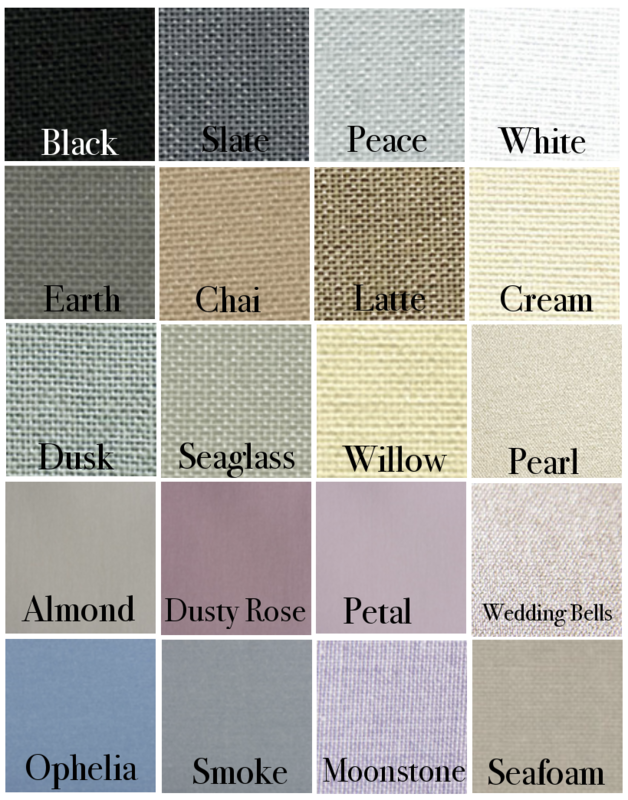 Because of this, we have tried to describe each color the best that we can in the drop-down area. We urge you to purchase a swatch set before ordering your book to ensure the color is exactly what you need. 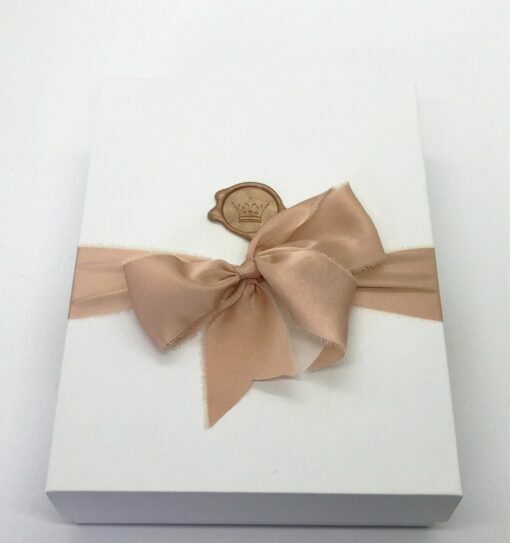 Each book box has a removable detached lid, foiled top (your choice) and our crown stamped on a velvet interior. 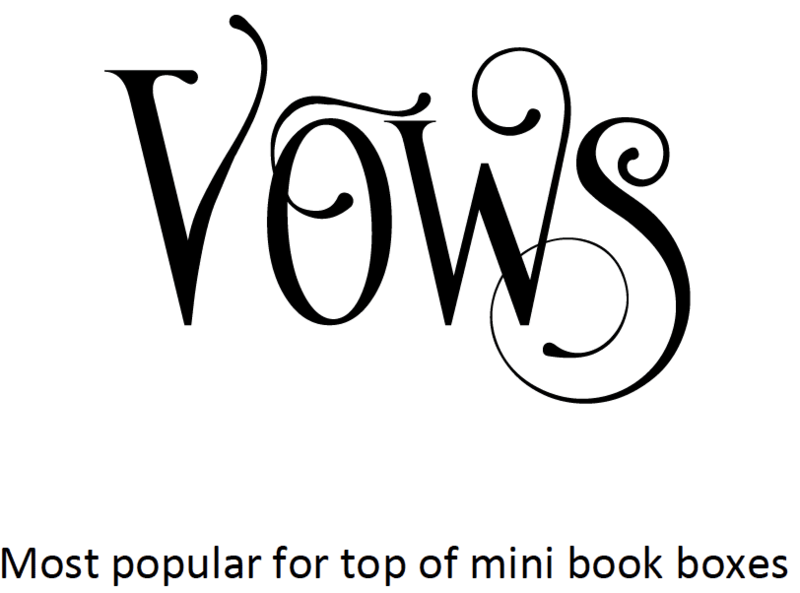 For custom requests, please contact us prior to ordering. Please allow up to 2-4 weeks for creation and delivery of vow booklets and 2-4 weeks for boxes. 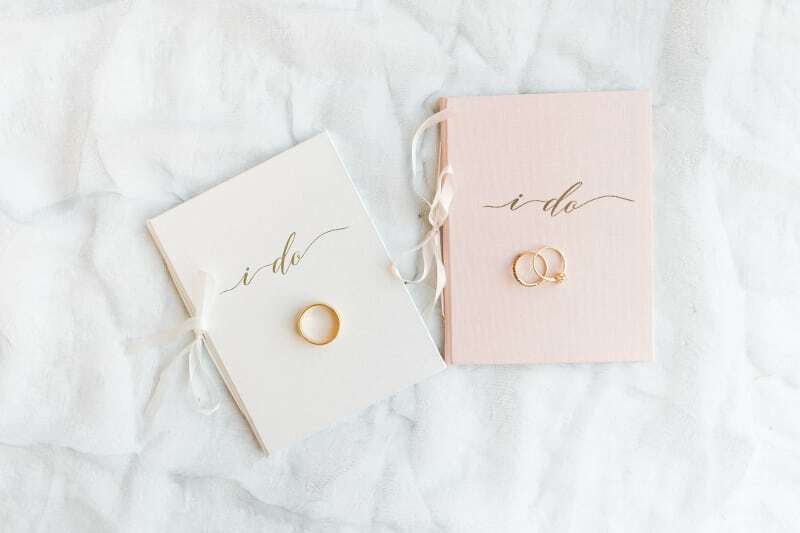 We mail items together unless otherwise specified. 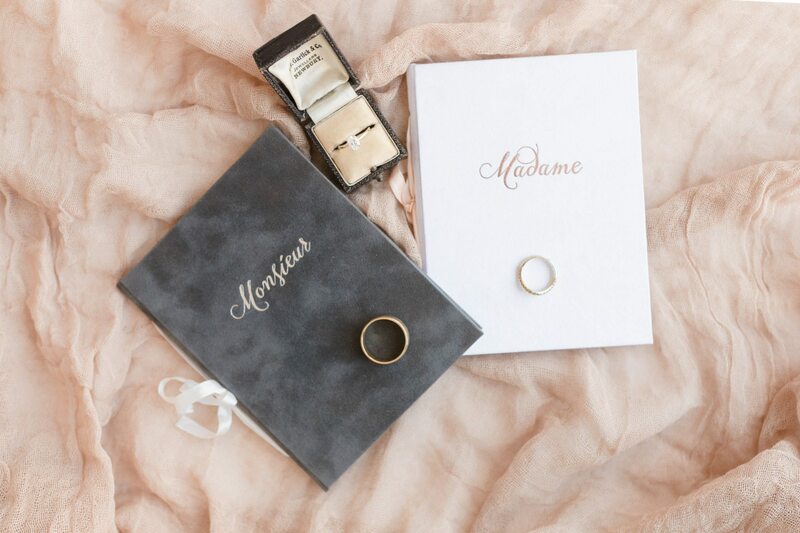 Beautiful photos by Rebecca Yale Photography (first three) & Kandi Daniel Photography (4-6). 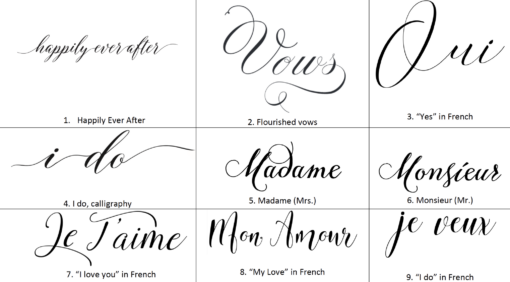 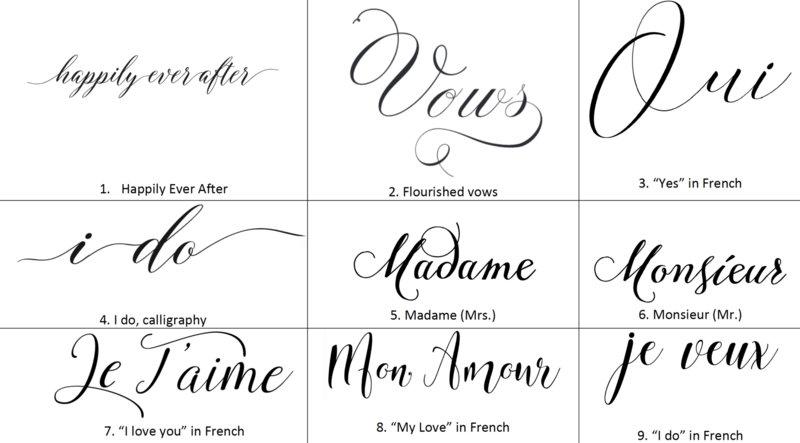 Calligraphy: None. 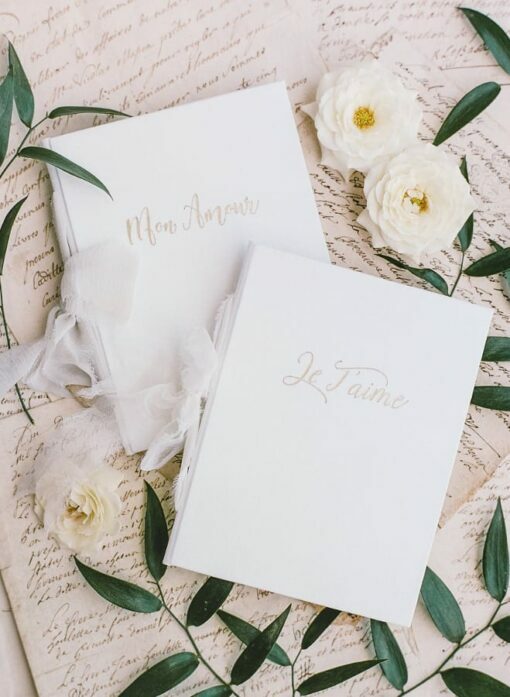 Blank paper included. 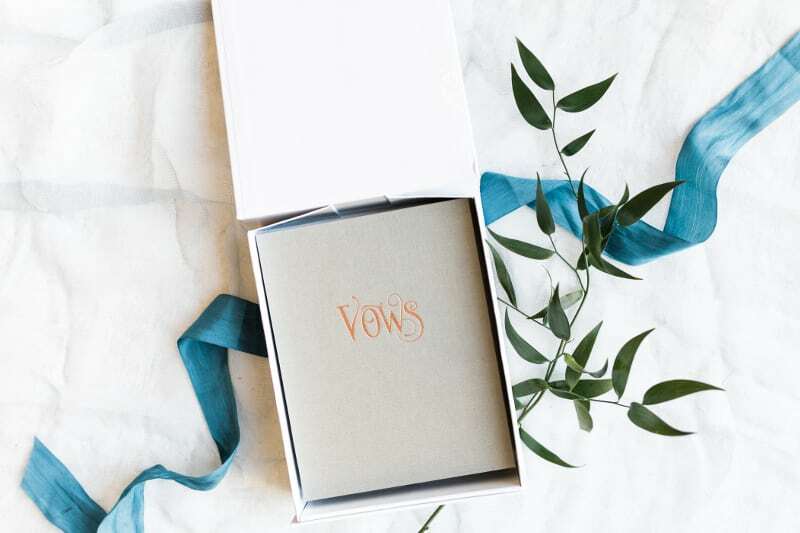 Weight: Vow booklets, packaging materials, and shipping box weigh approximately 2.3 lbs for shipping estimate needs. 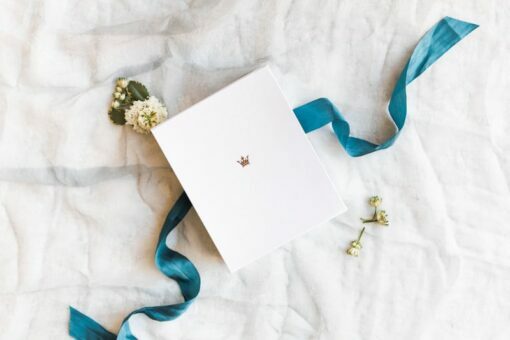 Please allow 2-4 weeks for box creation and delivery.